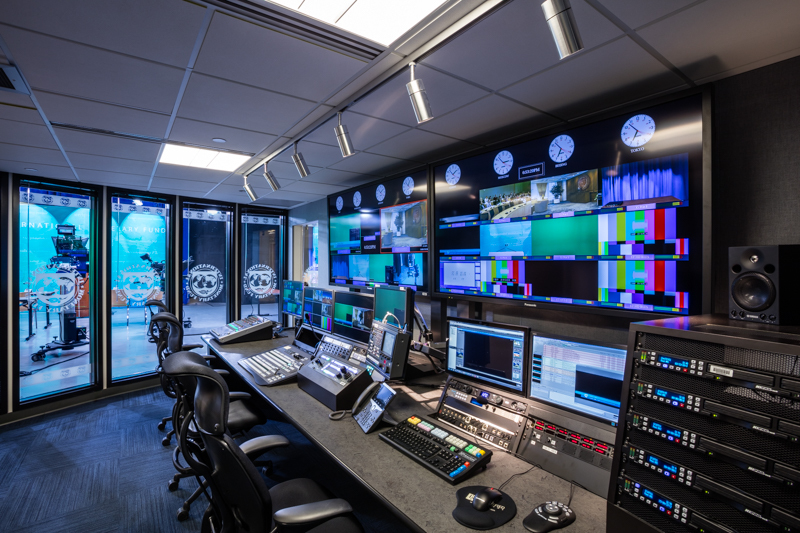 The broadcast quality facility with its enlarged acoustically isolated studio meets all the production needs of an international financial institution. 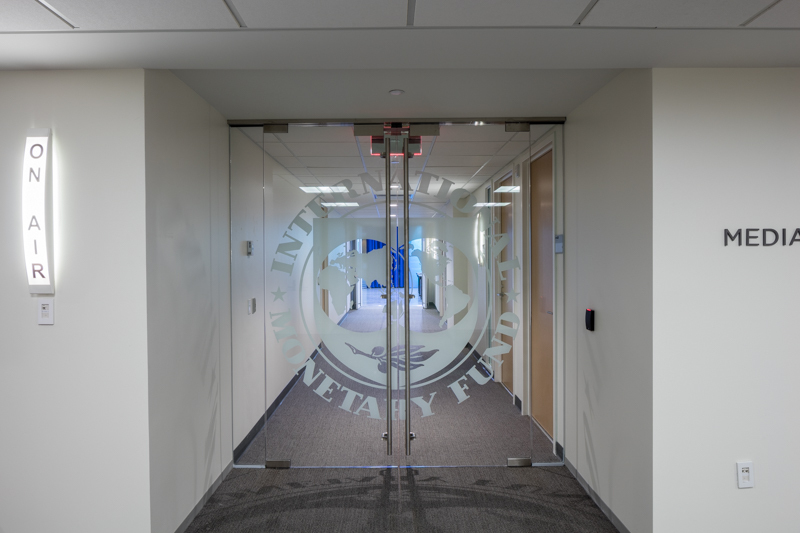 As a global financial institution, the International Monetary Fund (IMF) asked Lawson to design a professional, broadcast quality facility in its building in Washington, DC. 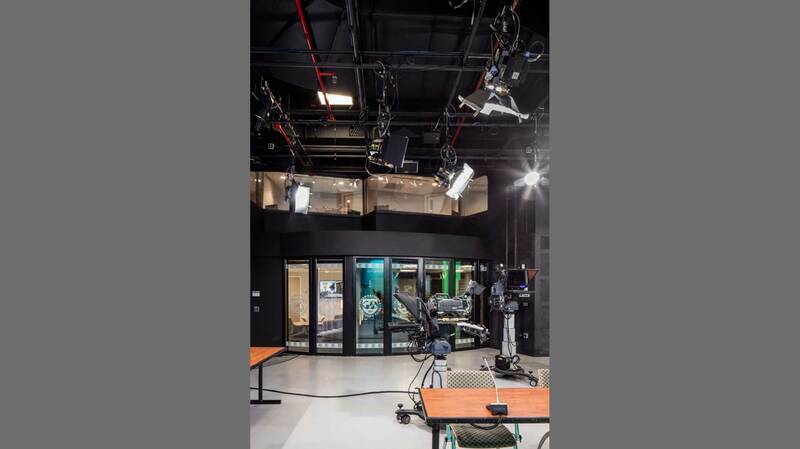 The complex project presented many challenges from acoustically isolating the studio on all sides, to coordinating the work on two levels while the entire building was being renovated. 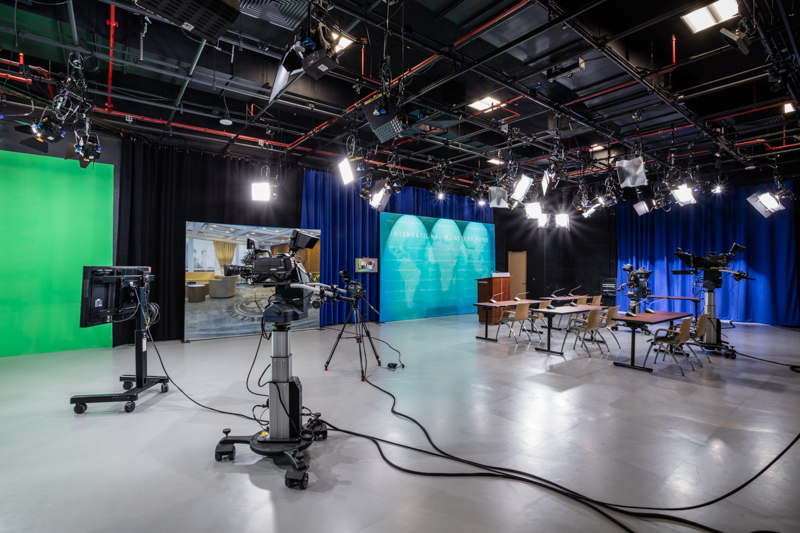 The 10,000 square foot project included the transformation of an existing 3,000 square foot auditorium into a greatly enlarged television broadcast studio and press briefing room directly above a Zumba fitness classroom. 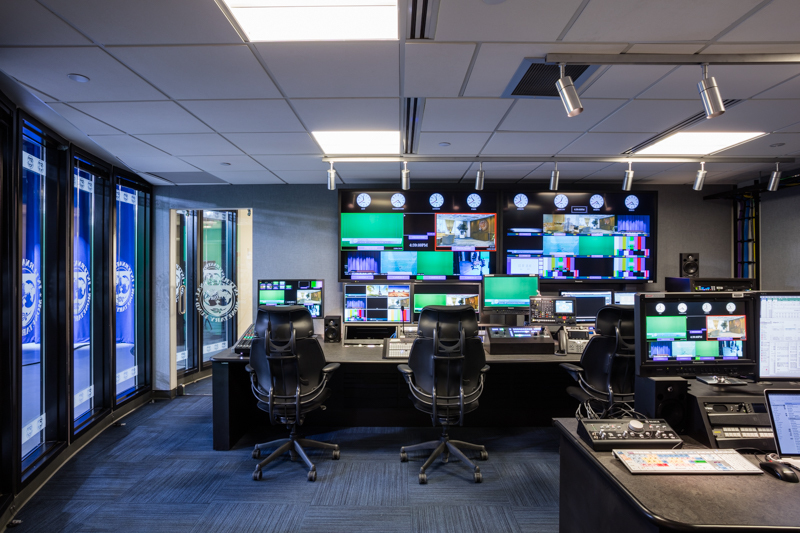 Lawson’s schematic design strategically locates the television and radio studios, a production control room, a green room, and a visitor’s room on the first level. 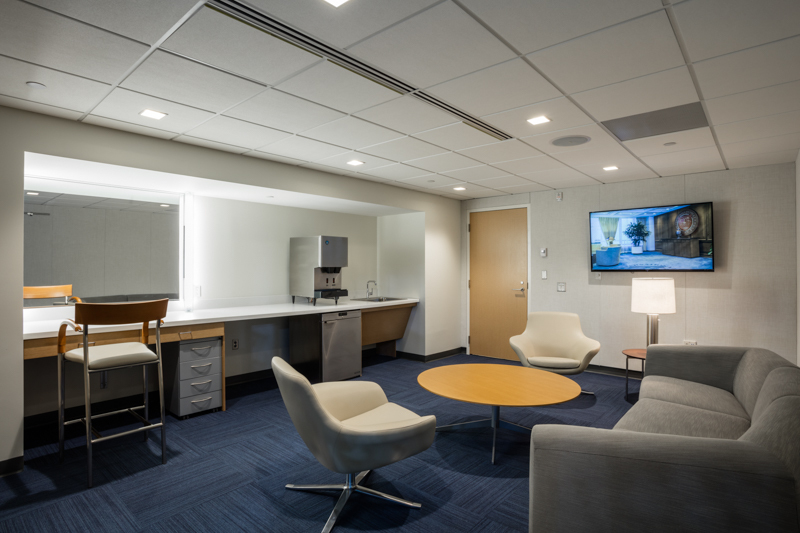 Two dressing rooms and a 15 rack equipment room are also seamlessly integrated in the space. 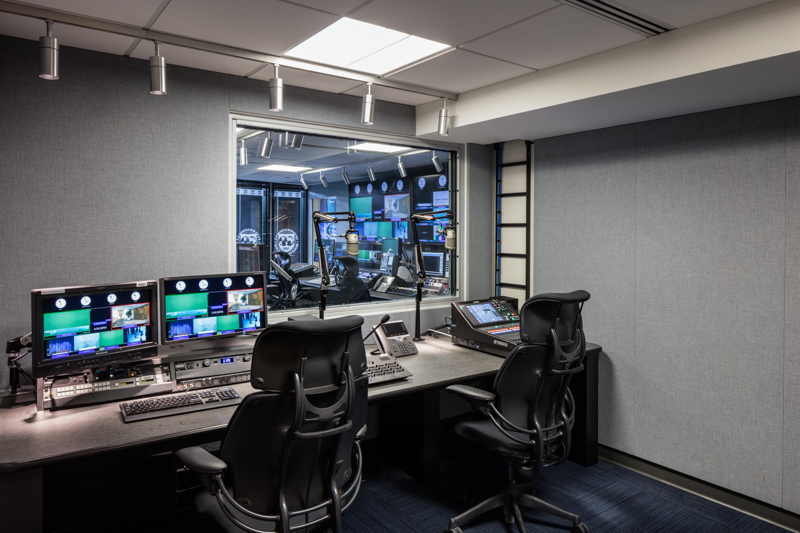 The second level features five production control rooms in addition to five simultaneous interpretation booths to facilitate the broadcast studio’s translation capabilities. 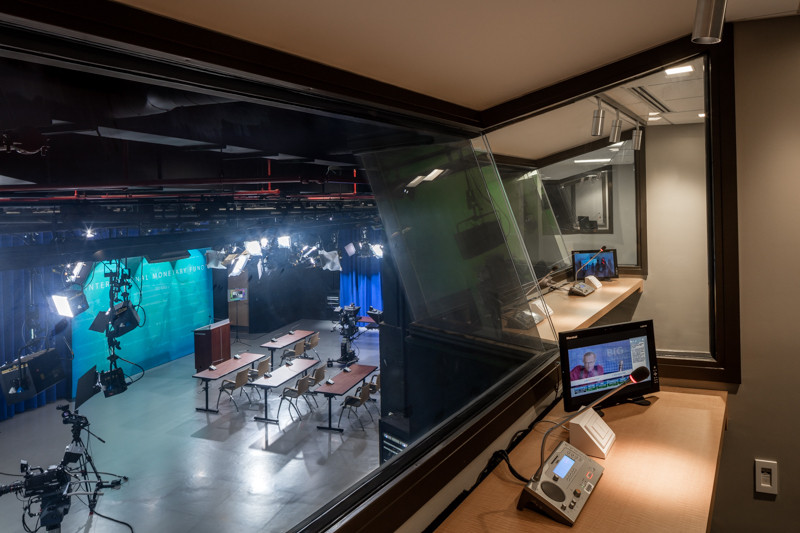 To acoustically isolate the broadcast function from the Zumba classroom, Lawson floated a specialty floor in the adjacent space using unique floor finishes. 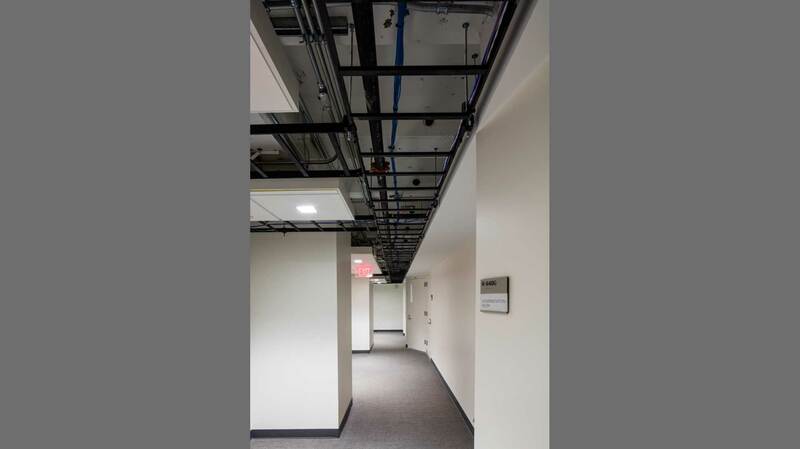 Acoustic isolation was also critical at the exterior walls of the building and in the studio ceiling. 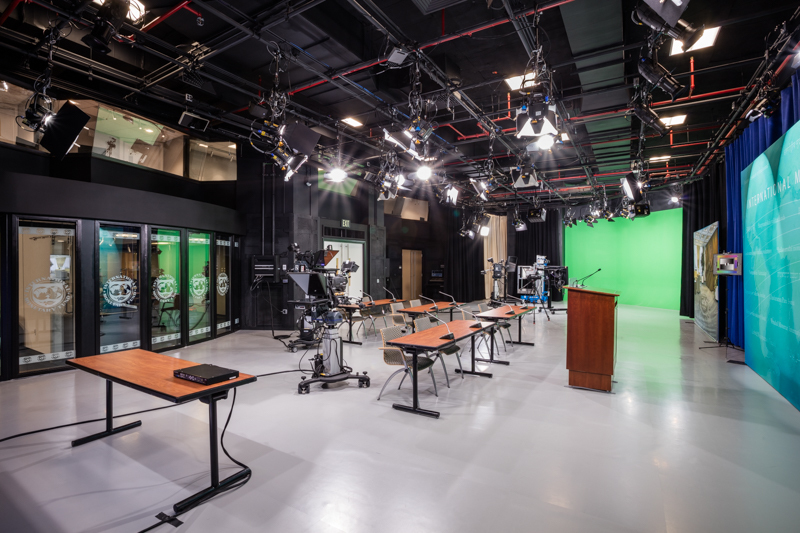 The design, height, and scale of the new television studio allows the IMF to superimpose multiple backgrounds as well as use the dynamic backdrop of shooting from the studio into the production control room.